“La La Land” Wins Best Picture. It’s Won Every Single Award tonight! 7! 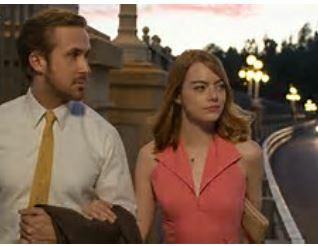 “La La Land” Wins Best Film Comedy/Musical! It’s won every single solitary award that it was nominated for tonight! Every one! The Hollywood Foreign Press is not known for its’ sweeps, but tonight that’s exactly what we’ve seen, “They like to spread it around.” “They like to share the love” are the common phrases. Not tonight. It’s the biggest sweep I can ever remember at the Golden Globes. Will the Oscars follow suit? It not seems likely. The table for “20th Century Women” also looked depressed. Emma Stone Wins Best Actress Musical/Comedy!! !Gives Beautiful Another Beautiful Speech. Casey Affleck Wins Best Actor!!! Isabelle Huppert Wins Best Actress!!! Another Upset!